The general rule-of-thumb is that you only list jobs from the last 10-15 years. Anything older than this is not applicable, especially in IT. After all, that oldest job had me dealing with Windows 98, Windows NT 4.0, 56 kbps data lines, a “high speed” T1 for internet access, and other “fun” technologies that I am glad are now obsolete. This job was from 1997-2000 and was pushing me to a third page, so it was time for it to be removed from the resume. But removing that job from my resume almost felt like killing off one of my children. It was there to show how experienced I am. It was there because I did the work. It was there because it was important. But it’s irrelevant in the eyes of a potential future employer. To them, it’s confusing and they don’t understand why you would list those outdated skills on a resume for a job utilizing current technologies. So, whether or not it feels like killing off one of my children, I had to remove it. 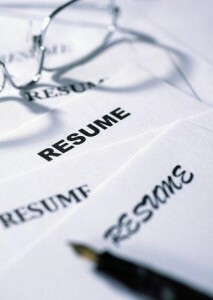 My resume now fits on two pages again and my work history on my resume is now within the 10-15 year range. The world is still turning and my career will continue. I love your great insight. Dave I always appreciate you articles. I don’t know that I agree with only listing 15 years worth of jobs. Whenever I consider a new business contact I always look at their LinkedIn page. If their LinkedIn only shows 15 years of work history but they’ve been out of school for 30 I wonder what they were doing for the missing 15 years. Even if it’s a completely unrelated field I like to see what industry they came out of. But I’m talking about LinkedIn and you’re talking about a printed resume. Does anyone even print resumes anymore? I agree that LinkedIn and a resume are two different things. I have my entire work history on LinkedIn, if anybody cares to look. Otherwise, I keep the resume to less than 15 years, which most recruiters and HR managers will tell you to do. Another advantage to keeping it less than 15 years is it avoids deliberate age discrimination. Along this same line, most people recommend leaving college graduation dates off the resume unless it happened in the last few years. This applies for 99% of job searchers. Some jobs require divulging all of this information up front (government, education, etc. ), but that is the exception, not the norm. Does anyone even print resumes anymore? Whenever I go on a job interview I always have a printed copy on nice linen stock with me to give the employer. 99% of the time it comes back home with me since they will be working from an emailed copy of my resume. But I don’t want to be unprepared if they ask.